If you encounter any error after thoroughly following these steps, feel free to contact us via OpenCV4Android discussion group or OpenCV Q&A forum . We’ll do our best to help you out. 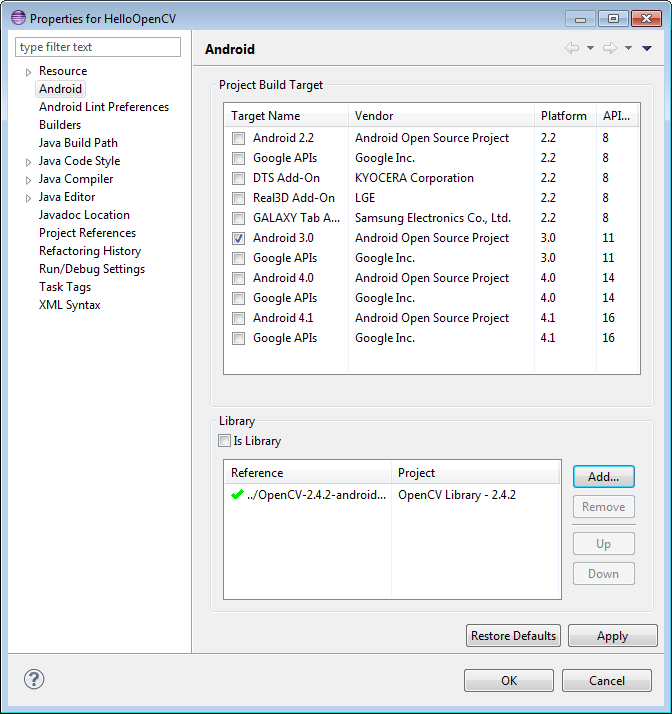 In most cases OpenCV Manager may be installed automatically from Google Play. For the case, when Google Play is not available, i.e. emulator, developer board, etc, you can install it manually using adb tool. 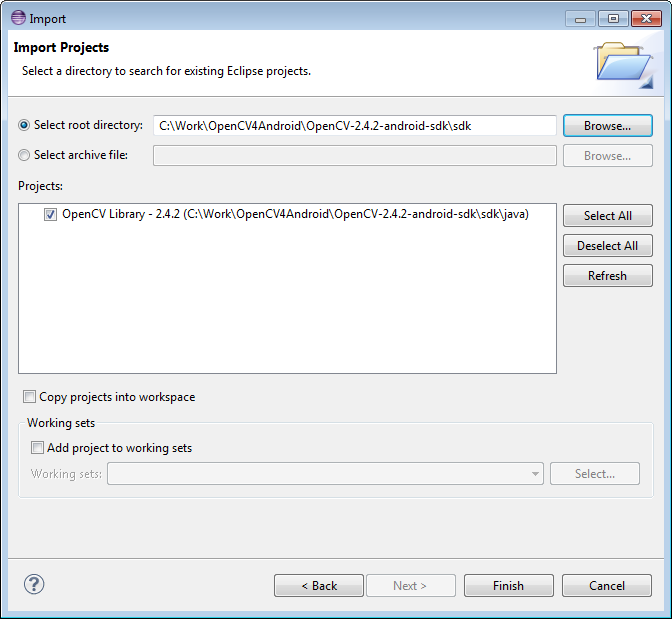 See How to select the proper version of OpenCV Manager for details. There is a very base code snippet implementing the async initialization. It shows basic principles. See the “15-puzzle” OpenCV sample for details. 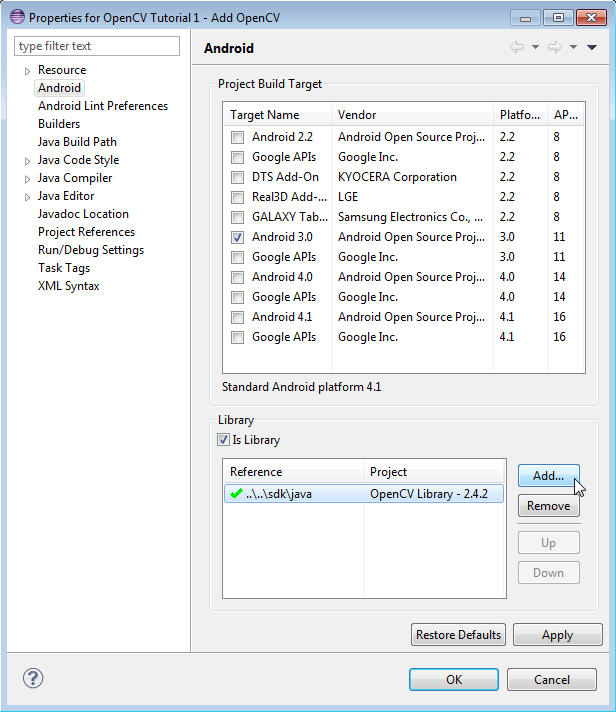 If your application project doesn’t have a JNI part, just copy the corresponding OpenCV native libs from <OpenCV-2.4.9-android-sdk>/sdk/native/libs/<target_arch> to your project directory to folder libs/<target_arch>. Several variables can be used to customize OpenCV stuff, but you don’t need to use them when your application uses the async initialization via the OpenCV Manager API. Add OpenCV library initialization to your activity. Fix errors by adding requited imports. Defines that your activity implements CvCameraViewListener2 interface and fix activity related errors by defining missed methods. For this activity define onCreate, onDestroy and onPause and implement them according code snippet bellow. Fix errors by adding requited imports. First of all we create our application view using xml layout. Our layout consists of the only one full screen component of class org.opencv.android.JavaCameraView. This class is implemented inside OpenCV library. It is inherited from CameraBridgeViewBase, that extends SurfaceView and uses standard Android camera API. Alternatively you can use org.opencv.android.NativeCameraView class, that implements the same interface, but uses VideoCapture class as camera access back-end. opencv:show_fps="true" and opencv:camera_id="any" options enable FPS message and allow to use any camera on device. Application tries to use back camera first.